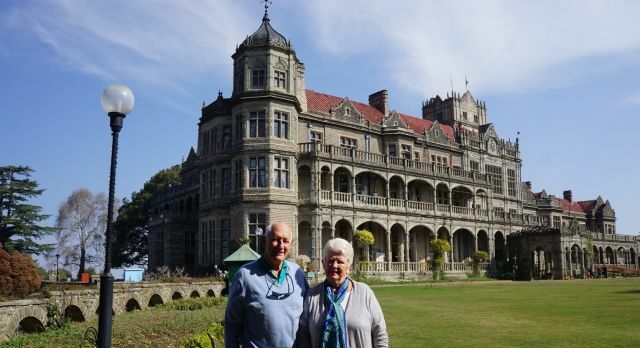 In February 2016, John Clark and Barbara Wellesley embarked on an 32-day India tour. 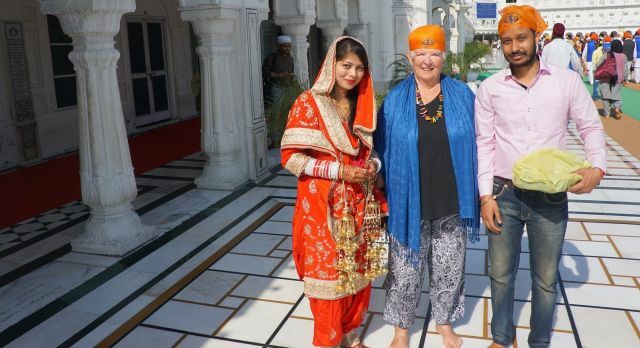 As seasoned travelers who enjoy the unusual and the exotic, they naturally preferred to go off-the-beaten-path during their grand India tour – and Enchanting Travels helped them do just that! After many an adventure tempered with warm reunions with old friends, they returned home with incredible memories. What did they enjoy most? Read on to find out. India hits all the senses, and the differences between each of our stops were fascinating. The geography of Kerala and Shimla was so different, but each was terrific. The past clashes of faith in Ayodhya highlighted contrasts we did not see in the people we met, where religious tolerance was foremost. It’s amazing to see a billion people getting along so well together. Here is a list of the top four of many diverse experiences. It was an amazing experience travelling on the Toy Train to Shimla with spectacular views of the Himalayan foothills as we climbed higher. It was incredible to see the town built on such steep hills with buildings looking as if they would slide down at any time. Shimla is quite a sight, and the narrow winding roads needed the mastery of our skillful driver. Amazing to think that the British Viceroy ruled the subcontinent from here at a time when communications were so difficult! It’s a lovely clean town too. This was my favorite accommodation during our entire trip! 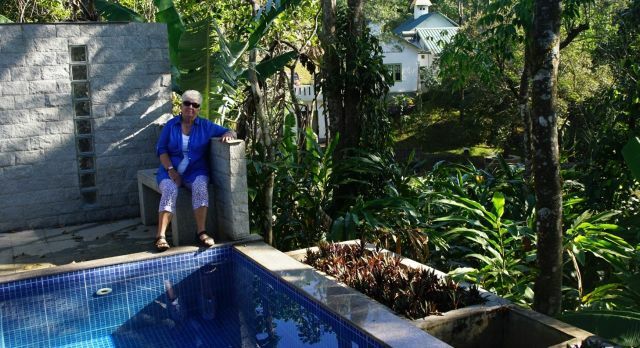 The building is set up above cardamom plants and among the jackfruit trees of a wonderful plantation in Thekkady. Our suite at Aanavisalam was so stunningly designed and beautifully decorated – and there was the joy of having our own swimming pool. It was magic swimming in the early morning with the sun just rising. 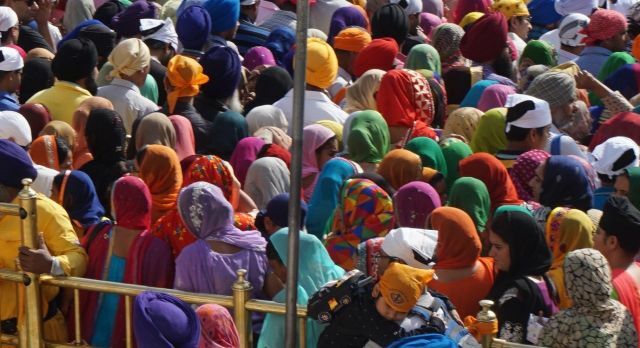 Amritsar – a crowd of colors! The Golden Temple was breathtaking, set on the edge of a pool that sparkles in the morning sun. There were hundreds of pilgrims and visitors walking around, and we saw beautiful colors on the ladies saris and the men’s turbans. This photo seemed to us to symbolise India itself – crowded but civilised, a blast to the senses, yet respectful and cooperative, bright and beautiful. 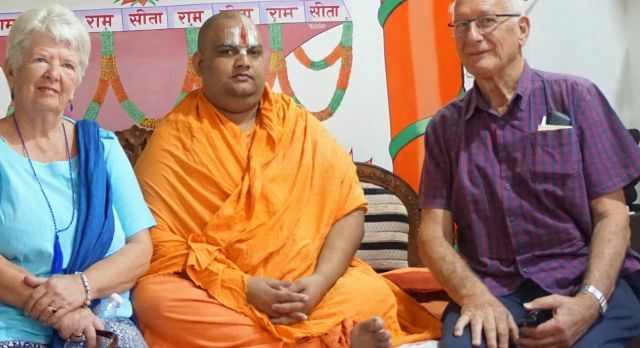 Audience with Ayodhya’s high priest. It was a very spiritual experience standing on the edge of the river being part of the sunset ceremony amidst the sounds of the tinkling hand-bell, the chanting of the priests and people, and the graceful circling movement of the oil lamps as the dusk deepened. Many adventures later, John and Barbara have finally returned home; but this is not to be the end of their association with India. They plan to be back soon, for an international family reunion in incredible India! Go off-the-beaten-track on your own India tour with Enchanting Travels.